Just as socialist central planning failed miserably before it was replaced by free market economies (capitalism), green central planning will have to be discarded before Europe will be able to see a return to economic growth, technological optimism and the prevention of thousands of needless deaths due to uncompetitive, intermittent and expensive feel-good green energy fantasies. 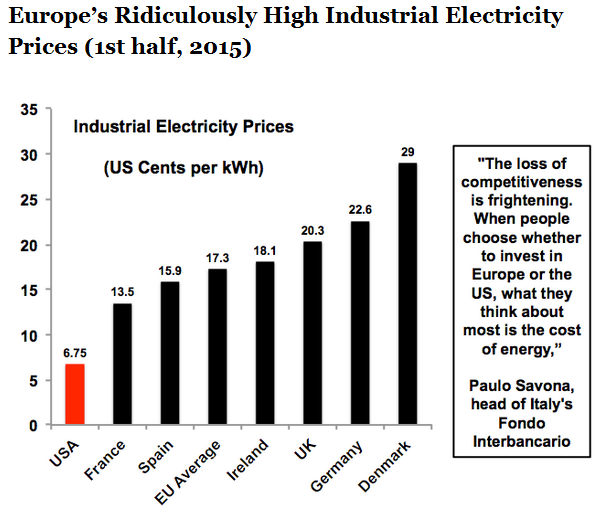 Europe’s suicidal green energy policies are killing at least 40,000 people a year. It has long been known by scientists that Iceland has gotten much colder since the Medieval Warm period, and that there was a spike in warming from 1900 to 1940, followed by a sharp drop back to the previous low. As of 2012, NASA showed Iceland temperatures accurately. This didn’t suit NASA’s global warming agenda, so in 2013 they simply made the 1900 to 1940 warming disappear. Having been called out on this numerous times, and angering the Icelandic Met Office, NASA has since put some of the spike back.